Comics Experience Blog: "Curse of the Thirteenth Baktun" releases just in time for the 12/21/12 apocalypse! 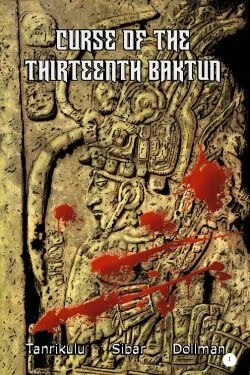 "Curse of the Thirteenth Baktun" releases just in time for the 12/21/12 apocalypse! Comics Experience alum and Creators Workshop member, Marta Tanrikulu is ready for the 12/21/12 apocalypse -- with a special short comics story called Curse of the Thirteenth Baktun! In addition to Marta's writing, the story also features the artwork of CE alum and Workshop member Jorge Donis, and the lettering of long-time Workshop member, E.T. Dollman! In the story, two local experts in ancient Mayan scripts are pressed into service by an ambitious archaeologist who locates a lost ruin. 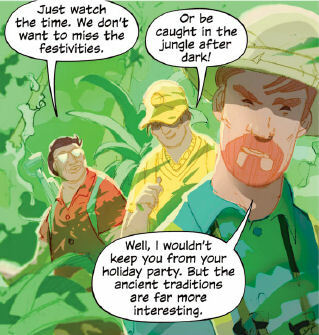 But what they uncover in the jungle on December 21, 2012, the date when the 13th Maya baktun ends, is a nightmare. In light of the impending apocalypse, the story has been translated into Spanish, Portuguese, Italian, Turkish and Japanese, in addition to the English version. Before time runs out, you can read the story for only 99-cents at the Red Stylo Media website or at Drive-Thru Comics! Marta is a writer and contributor to Red Stylo Media's anthology series Poe Twisted and Shakespeare Shaken, and you can check out links to all her work on the ViZYON Entertainment website. Congrats, Marta, Jorge, and E.T. on the release of the story!